An ideology is a set of ideas, beliefs, or stance that determines a perspective with which to interpret social and political realities. The term is used either in a pejorative or neutral sense, but it contains political connotations. The word ideology was coined by Count Antoine Destutt de Tracy, a French materialist in the late eighteenth century, to define a "science of ideas." The current usage of the term was, however, originated from Karl Marx. Marx defined "ideology" as a "false consciousness" of a ruling class in a society who falsely presents their ideas as if they were universal truth. Their ideas were neither universal nor objective, Marx argued, but they emerged out of and serve their class interests. Today, the term ideology is used in a much broader sense than Marx's original formulation. In a pejorative sense, it means a set of ideas used as a political tool to achieve hidden goals and interests by distorting social, political realities. Hidden interests meant class interests for Marx, but those interests can be any other kinds of interests. This sense is closer to but broader than Marx's original formulation. In a neutral sense, it means a set of ideas accompanied with political goals, intents, interests, and commitments. While a world-view does not necessarily connote political undertones, an ideology always contains political implications. The main purpose behind an ideology is to affect change in society through a normative thought process. The application of ideologies in public matters makes them central to politics. Implicitly, every political tendency entails an ideology whether or not it is propounded as an explicit system of thought. In the twentieth century, theorists such as Louis Althusser, Karl Mannheim, Theodor_Adorno, Max Horkheimer, Erich Fromm, and others contributed to the analysis of this concept. Around the 1950s and 60s, Daniel Bell, an American sociologist, claimed the "end of ideology" and the coming of the era of scientific positivism. Frankfurt School theorists criticized Bell for his "scientism" as an ideology. The term "ideology" is a coinage by Destutt de Tracy (1754 - 1836). Tracy, a French Enlightenment thinker, attempted to establish a perspective with which to see ideas from based on sense experience and perception, as opposed to a theological and metaphysical perspective. He tried to establish a "science of ideas" and called it "ideology." Those Enlightenment thinkers who shared Tracy's idea were called "ideologists." Napoleon accused those Enlightenment thinkers, who attempted to promote human rights, freedom, and other ideals of the Enlightenment. He called them "ideologues" in the pejorative sense, by which he meant "unrealistic idealistic fanatics." 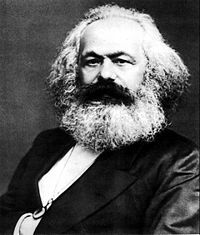 It was, however, Karl Marx who gave a new meaning to the term ideology, which became the origin of the various contemporary interpretations of this term. Karl Marx proposed that a society's dominant ideology was a part of its economic superstructure. In German Ideology, Marx criticized Hegelians such as Bruno Bauer and Feuerbach, who failed to capture social realities, at least from Marx's perspective. Marx accused their idealistic "false consciousness" as "ideology." Marx used the term "ideology" in two ways. Broadly, it meant the entire "superstructure," such as ideas, beliefs, institutions, laws, and social systems, built upon the economic "base." Marx also used the term to denote legal, social, political, religious, philosophical, and cultural ideas and thought. Marx explained the origin of ideology based upon his idea of "base/superstructure" model of society. The base refers to the means of production of a society. The superstructure is formed on top of the base, and comprises that society's ideology, as well as its legal system, political system, and religions. For Marx, the base determines the superstructure: "It is men, who in developing their material inter-course, change, along with this their real existence, their thinking and the products of their thinking. Life is not determined by consciousness, but consciousness by life" (Marx-Engels Gesamtausgabe 1/5). Because the ruling class controls the society's means of production, the superstructure of society, including its ideology, will be determined according to what is in the ruling class's best interests. From Marx's perspective, economic structure determines all forms of consciousness, including philosophy, religion, politics, and culture. Accordingly, all cultural products serve as ideology. The critique of ideology, therefore, entailed the critique of economic systems, specifically the capitalist economy. Marx's critique of ideology is, thus, carried out as the critique of economics. Marx's analysis of ideology met with much criticism. First, if all ideas are ideological, then Marxism itself must be a form of ideology. Second, economic determinism is simplistic in that human beings can be motivated by interests other than economic "class interests" and there are diverse social, ethnic, religious groups who value diverse interests. Third, Marx's attempt to change society by his thought is an attempt to change the "base" by "superstructure" (ideas, thoughts), and it is a refutation to the thesis that economic base determines the superstructure. Those criticisms to classical Marxism opened a wider range of analysis on the concept of ideology. The ideologies of the dominant class of a society ("dominant ideology") are proposed to all members of that society in order to make the ruling class' interests appear to be the interests of all. The lower classes are "educated" to share and believe "dominant ideology" as if it is good for all or universally valid claims. György Lukács (1885–1971) described this as a projection of the class consciousness of the ruling class, while Antonio Gramsci (1891–1937) advanced the theory of "cultural hegemony" to explain why people in the working-class can have a false conception of their own interests. Karl Mannheim (1893–1947), a German sociologist, broadened the concept of ideology in his Ideologie und Utopie (1929; Ideology and Utopia). Mannheim attempted to move beyond what he saw as the "total" but "special" Marxist conception of ideology to a "general" and "total" conception, which acknowledged that all ideologies, including Marxism, resulted from social life. He established a sociology of knowledge as the study of the relationship between human thought and the social context within which it arises, and of the effects prevailing ideas have on societies. He distinguished a "general total conception of ideology" from Marx's "special conception of ideology" and tried to build sociology of knowledge based upon the broader concept of ideology. Mannheim recognized ideological elements (the impact of social realities on consciousness, ideas, and thought) in any thought, including those held by sociologists. But, he argued that it is possible to have a general perspective by engaging in critical reflection of itself. While Marx's concept of ideology was narrow and lacked self-critical elements, Hannheim argued, his concept was broader and had a self-critical function. The list of reviewers of the German Ideology and Utopia includes a remarkable roll call of individuals who became famous in exile after the rise of Hitler: Hannah Arendt, Max Horkheimer, Herbert Marcuse, Paul Tillich, Hans Speier, Günther Stern (also known as Günther Anders), Waldemar Gurian, Siegfried Kracauer, Otto Neurath, Karl August Wittfogel, Béla Fogarasi, and Leo Strauss. Mannheim's ambitious attempt to promote a comprehensive sociological analysis of the structures of knowledge was treated with suspicion by Marxists and neo-Marxists of the Frankfurt School. They saw the rising popularity of the sociology of knowledge as a neutralization and betrayal of Marxist inspiration. Frankfurt School theorists such as Horkheimer, Adorno, and Erich Fromm, who were exiled to the United States by the Nazis, carried out the analysis of ideology from the perspective of social psychology by incorporating Freudian psychoanalysis and American empirical research methods. They applied their critique of ideology to the analysis of totalitarianism. They observed that those who were critical of Nazism eventually became supporters of the Nazis due to propaganda and cultural mass manipulation. They pointed out the conceptual affinity between Nazi ideology and what they called "totalitarian personality." After the 1950s, Daniel Bell (1919-), an American sociologist, diagnosed the post-War era as the "end of ideology" and argued the coming of the era to be one of technology and positivism. Frankfurt theorists criticized those positivist tendencies and Jürgen Habermas argued that science and scientific activities are not free from ideology. Meta-ideology is the study of the structure, form, and manifestation of ideologies. Meta-ideology posits that ideology is a coherent system of ideas, relying upon a few basic assumptions about reality that may or may not have any factual basis, but are subjective choices that serve as the seeds from which further thought grows. According to this perspective, ideologies are neither right nor wrong, but only a relativistic intellectual strategy for categorizing the world. The positive and negative effects of ideology range from the vigor and fervor of true believers to ideological infallibility. The works of George Walford and Harold Walsby, done under the heading of systematic ideology, are attempts to explore the relationships between ideology and social systems. Mullins emphasizes that an ideology should be contrasted with the related (but different) issues of utopia and historical myth. The German philosopher Christian Duncker called for a "critical reflection of the ideology concept" (2006). In his work, he strove to bring the concept of ideology into the foreground, as well as the closely connected concerns of epistemology and history. In this work, the term ideology is defined in terms of a system of presentations that explicitly or implicitly claim to absolute truth. Though the word "ideology" is most often found in political discourse, there are many different kinds of ideology: Political, social, epistemological, ethical, and so on. Many political parties base their political action and program on an ideology. In social studies, a political ideology is a certain ethical set of ideals, principles, doctrines, myths or symbols of a social movement, institution, class, or large group that explains how society should work, and offers some political and cultural blueprint for a certain social order. A political ideology largely concerns itself with how to allocate power and to what ends it should be used. Some parties follow a certain ideology very closely, while others may take broad inspiration from a group of related ideologies without specifically embracing any one of them. Goals: How society should work (or be arranged). Methods: The most appropriate ways to achieve the ideal arrangement. An ideology is a collection of ideas. Typically, each ideology contains certain ideas on what it considers to be the best form of government (for example, democracy, theocracy, etc. ), and the best economic system (such as capitalism, socialism, etc). Sometimes the same word is used to identify both an ideology and one of its main ideas. For instance, "socialism" may refer to an economic system, or it may refer to an ideology that supports that economic system. Ideologies also identify themselves by their position on the political spectrum (such as the left, center, or right), though this is very often controversial. Finally, ideologies can be distinguished from political strategies (for example, populism) and from single issues that a party may be built around (such as opposition to European integration or the legalization of marijuana). Studies of the concept of ideology itself (rather than specific ideologies) have been carried out under the name of systematic ideology. Political ideologies are concerned with many different aspects of a society, some of which are: The economy, education, health care, labor law, criminal law, the justice system, the provision of social security and social welfare, trade, the environment, minors, immigration, race, use of the military, patriotism, and established religion. There are many proposed methods for the classification of political ideologies. While science may seem to assert an objective method, some observe that science in itself is a form of an ideology in the forms of the scientific method or as scientism. One case of science adopted as ideology is that of ecology, which studies the relationships between living things on Earth. Perceptual psychologist J. J. Gibson believed that human perception of ecological relationships was the basis of self-awareness and cognition itself. Linguist George Lakoff has proposed a cognitive science of mathematics wherein even the most fundamental ideas of arithmetic would be seen as consequences or products of human perception—which itself necessarily evolved within ecology. Deep ecology and the modern ecology movement (and, to a lesser degree, Green parties) appear to have adopted ecological sciences as a positive ideology. The modern practice of green economics fuses both approaches and seems to be part science, part ideology. This is far from the only theory of economics to be raised to ideology status—some notable economy-based ideologies include mercantilism, social Darwinism, communism, laissez-faire economics, and free trade. There are also current theories of safe trade and fair trade which can be seen as ideologies. Minar, David M. 1961. "Ideology and Political Behavior." In Midwest Journal of Political Science. Midwest Political Science Association. Mullins, Willard A. 1972. "On the Concept of Ideology in Political Science." In The American Political Science Review. American Political Science Association. Louis Althusser's "Ideology and Ideological State Apparatuses". This page was last modified on 24 February 2018, at 22:34.